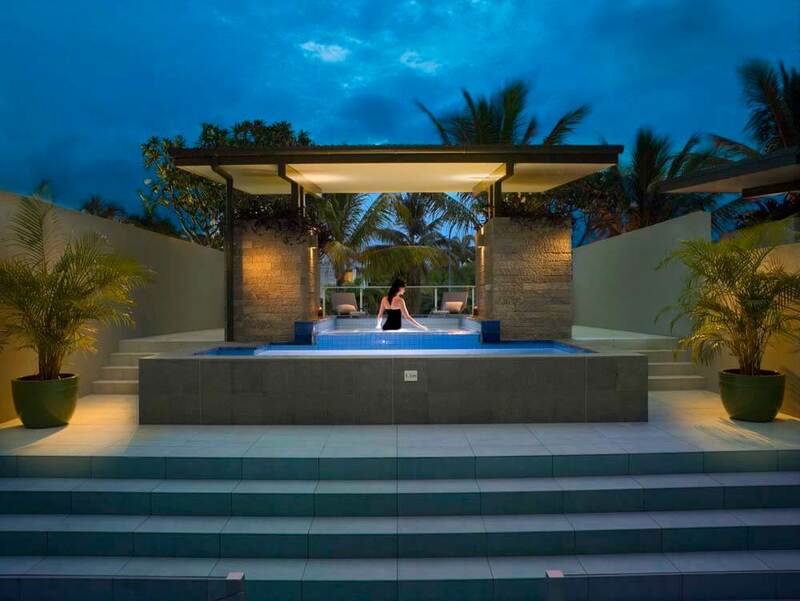 Coconut Grove offers five star luxury apartment-style accommodation on cosmopolitan Macrossan Street, just one hundred and forty metres from magnificent Four Mile Beach. 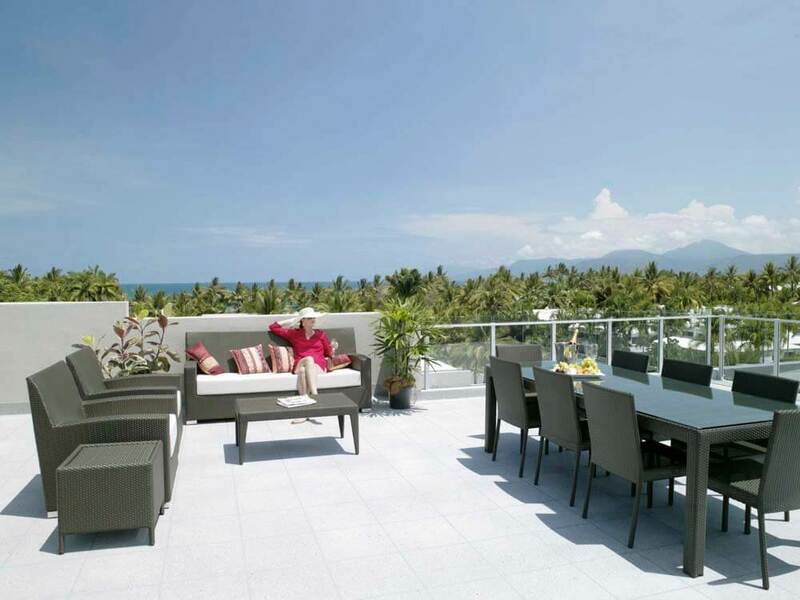 Divine views of rainforest, mountains and the ocean can be enjoyed in absolute privacy from a choice of apartments complete with their own outdoor entertaining terrace, extending from sophisticated living areas. The property incorporates thirty three spacious apartments positioned on level one (terrace), level two (balcony) and level three (penthouse). The apartments can be booked as one, two or three bedroom options. Balcony Apartments offer a variety of sleeping configurations in twin, queen and master (with walk-in wardrobe and spa bathroom) options. Guests can enjoy a sun-drenched terrace with barbecue and entertaining facilities, fully equipped kitchen and living area with plasma television. Terrace Pool Apartments have the same features as Balcony Apartments with the addition of an outdoor terrace with a private swimming pool and spa. 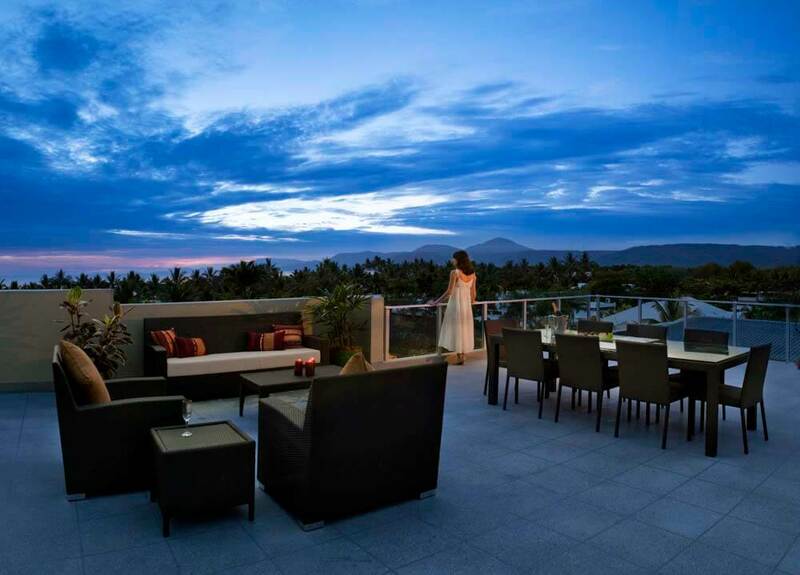 The luxurious Penthouse Apartments offer rooftop terrace with sea and mountain views, private swimming pool and an outdoor spa. Taking cue from the pale marine-based shades, the interiors are cleverly interpreted in natural stone, satin finished bench tops, metallic painted artworks and premium quality furnishings for an overall feeling that is cool, clean and calm. Port Douglas offers many excellent restaurants and cafés but if you prefer, Port Douglas Catering & Events Company will deliver your order with flavour and flair. 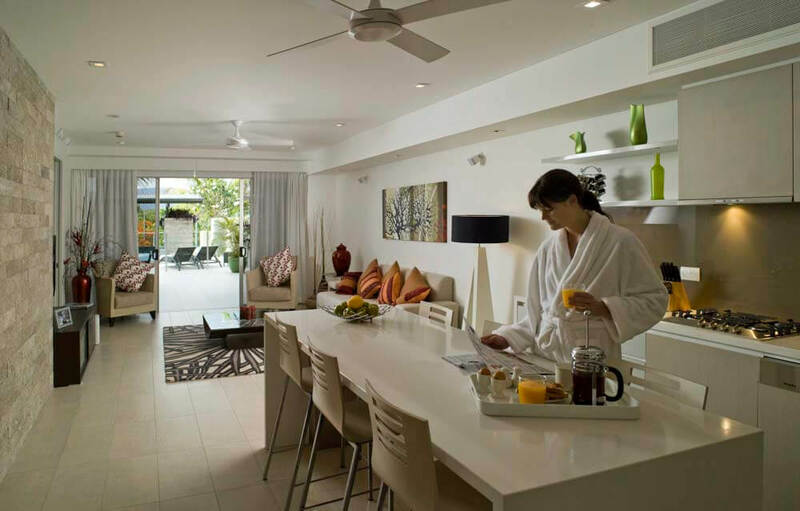 You can also have your fridge and pantry stocked with gourmet delights - comprehensive menu selections can be made online on their website, ensuring a relaxed arrival in Port Douglas.